Hello and Welcome! This is a reblog of a September 30, 2013 post. To have a powerful, positive, and mutually satisfying relationship you need to decipher the code to your map. 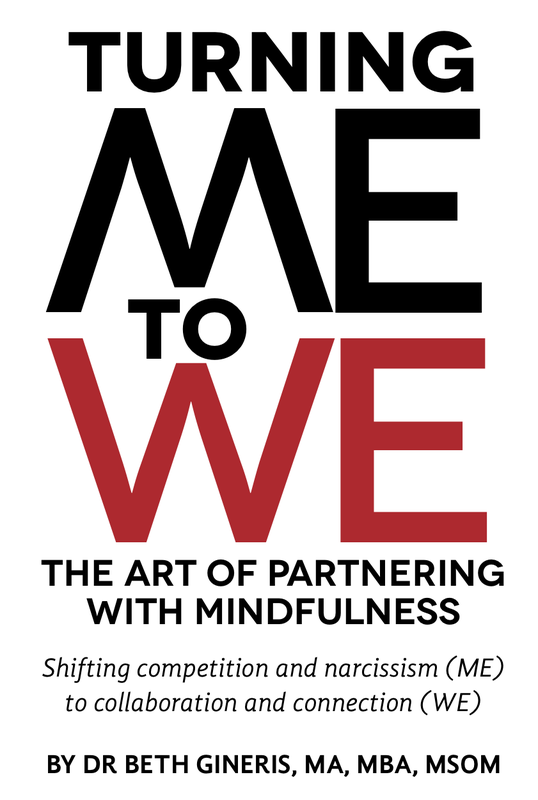 Turning ME to WE: The Art of Partnering with Mindfulness (Gineris 2013) offers insight into how your create your inner map in relationship, what kind of relationship feels secure to you, and what drives that security. The key to navigating relationship is to discover what drives YOU to partner, what a good partner LOOKS like to your heart, mind, and body blueprint. And when that picture has some skews in it – this book offers soul-utions for how to shift that center and boundaries of your inner map. So what are the map-keys in relationship? These feel instinctive but are learned. To shift from ME or I into a WE-style of relationship requires moving your paradigm perspective from DUALITY to UNITY. Use the MAAPS security driver system: Money, Achievement, Attachment, Power or Structure, to decipher the code of relationships by understanding your insecurity drivers. By reviewing the test you can discern which of the security drivers drives, how, with whom, and under what conditions you partner. Once you understand your personal map you can use meditation, mindfulness, and breathwork exercises and techniques to shift perspective, from a Me or I into a WE-style of relationship. Using various exercises to Unlink survivor scenarios or Habitual Reaction Patterns in relationship you free yourself from the constraints of limiting beliefs, fears, and insecurities. Additionally embracing your integrated spirit mind, and body connection opens the space for true Inner Guidance. 3 key components differentiate how you can relate: empathy, boundaries, and inner security. Me-style, dependence, narcissism, incapacity of empathy, difficulty with boundaries, diffuse boundaries – can’t say NO, feels empty at core and needs completion. I-style, independence, competition, chooses to not use empathy for fear of loss of self, difficulty with boundaries, rigid boundaries – can’t say YES, fears engulfment and needs distance, separation. We-style, Interdependence, connection, and collaboration, openly empathic, flexible boundaries, feels solid, knows self so can say NO or YES as is appropriate for the relationship and situation. Interdependent, maintains sense of self while also intimately and connected, chooses to focus on Unity and collaboration with a continued self-connection simultaneously. Two overlapping circles 1+1=3: WE, easy flexible boundaries, interdependent. WE: o0o 1+1=3 interdependent, mutual, flexible, collaborative can say Yes and No. Shifting Your Consciousness, Away from Defensive, competitive, narcissistic , Away from Balance sheet/ exchange patterns —>> Toward Listening fully, clarifying and receiving before speaking (for some this is a cultural snare), Toward Seeking understanding Rather than picking points to argue. Toward connection rather than where you diverge, feel that first then balance divergence. This groundbreaking book offers you insight, exercises, and reinforcing information so that you can incorporate into your style of relating the keys to a better, more fulfilled life through profoundly shifting how, with whom, and under what circumstances you partner. You can find a deep sense of peace, joy, and strength through the understanding of what drives you and developing a centered, inner strength to shift your style of being in the world through neutralizing your insecurities and embracing your inner guidance. Categories: Balance of Spirit Mind and Body category, consciousness development, Mindfulness living category, Paradigm shifting, spiritual development | Tags: attitude of gratitude, balance, belief systems, change, collaboration, consciousness development, group connections, instinctive health, MAAPS, malcolm gladwell, me to we, moving from duality to unity, security drivers | Permalink. Finding forgiveness is one of the single most difficult aspects of human interaction and personal growth. It’s a search that takes us inside and out, around, and through so many aspects of our lives, our experiences and relationships. In the Jewish tradition the time between Rosh Hashonah the New Year and Yom Kippur the day of Atonement, is a transition time to go within and search your soul. It’s not just atoning for transgressions, it’s also and firstly atoning with each other, and I think this is the genius of the transition time. It’s like a time-cocoon to discover if there are events for which you need to ask forgiveness or people of whom you need to ask forgiveness and the most difficult task I think, to find your own forgiveness.